The last page of each issue for Fader Magazine is called ‘Fade Out’. Fader invites an artist to contribute work that is intended to illustrate the theme of the issue. When the magazine’s former creative Justin Thomas Kay contacted Friends of Type to contribute for ‘Fade Out’ we jumped at the chance. 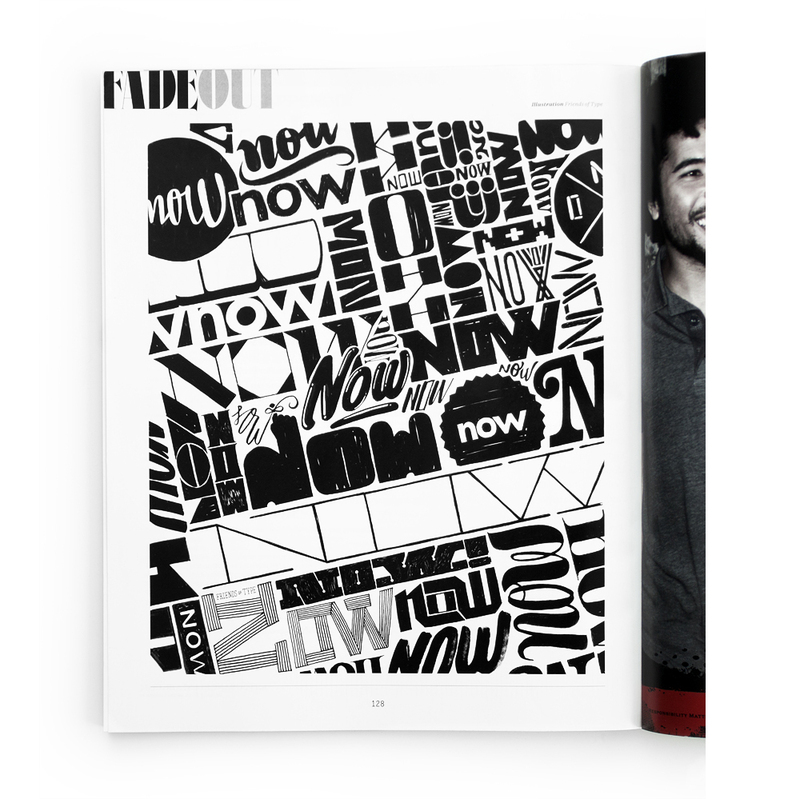 The theme of the issue was ‘NOW’ so Aaron, Dennis, Jason and I each illustrated several versions of the word and then compiled it into a lettering collage.